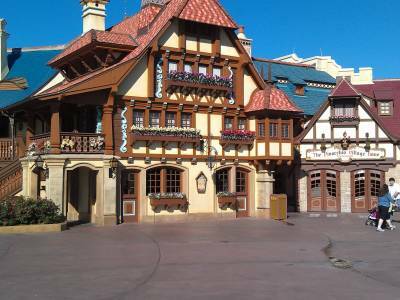 We've heard that the Pinocchio Village Haus eatery in the Magic Kingdom may be becoming a buffet-style for dinner. So this is similar to Be Our Guest Restaurant, in that it is a counter service dining experience during the day and a table service eatery at night. The experience is to be called “Gepetto’s Village Haus Buffet”, and will be priced at $22 (for guests 10 and up) and $12 per child. We can expect Italian favorites such as multiple salads, baked ziti, meatballs, pasta Alfredo, chicken parmesan, flatbreads, breadsticks, cannolis, and Italian cakes. An opening date has not yet been announced.